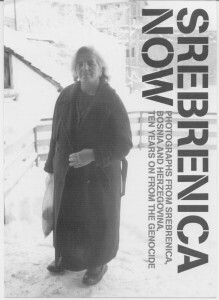 Photographs from Srebrenica Now were put on display at the Education Centre of Wormwood Scrubs prison, London. What do these images suggest to you? • Few have hope for the future; some change and improvement are expected but take time to come. 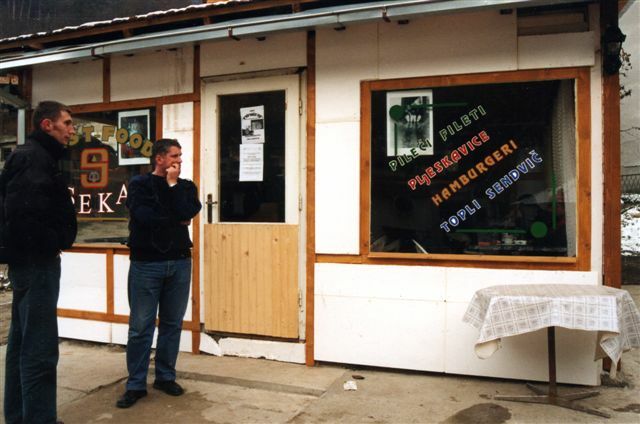 • These images suggest lots of things to me because it seems that Srebrenica was a beautiful town before the war. It makes you sad if you see these kind of pictures. Please, I want you to remember that war is not good. So let us stop war all over the world. • The images viewed suggest the uncertainty that still exists in the warring areas even though some seem to be happy in the photographs. What feelings do you take away from these photographs? • I think I took great feeling from these photos, first of all those pieces that are on some are very brave indeed. I remember one image about marriage between a Bosnian Muslim and a Serb. It shows togetherness for everyone to forgive and forget about their past. • In most of the photographs there is hope in the eyes of the person being pictures, but there’s always fear behind all of them. • They are trying to suppress the past and forget about it. Srebrenica Now was staged by Bridging Arts with the support of the Dutch-Bosnian Werkgroep-Nederland Srebrenica, the Srebrenica Justice Campaign, the refugee support group BH Community UK and the Refugees and the Arts Initiative.